Mechatonic: A Mobile Frame Zero Blog | ¡No Pasarán! This last weekend Joe Murphy and myself did some Mobile Frame Zero facilitation at the Conpulsion games convention in Edinburgh. 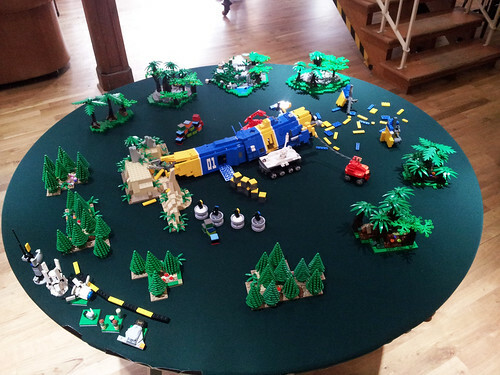 Chastened by our lacklustre scenery last year, we planned well in advance and created tables that – while maybe not the acme of fancy Dan LEGO design – were functional, attractive, and playable. This entry was posted in Building, Playing and tagged actual play, conpulsion, conventions, terrain on April 16, 2013 by Malcolm. The wait is over. The results are in! The first inaugural grand all-star Mobile Frame Zero Support Frame design contest and tea dance is complete! So without further ado, we present the top three. Let me reiterate, there was precious little between these builds, a many of one or two points in our scoring system. This entry was posted in Building, Community, Flickr and tagged 256imageworks, design contest, flickr, MFZ support frame design contest, pasukaru76, xgundam05 on February 19, 2013 by Malcolm. Recently, there have been some exciting things happening with Mobile Frame Zero. For one thing, the book is now off to print. For another thing, two excellent builders have started posting images of their frames again. Greg Strom (Mitten Ninja on Flickr) and Afny (funnily enough Af/ny on Flickr) have re-joined the community with some cracking photos. Sunset Showdown outside New Thebes is a lovely little diorama showcasing the Ermine Company and the Dogs of Tharsis. This entry was posted in Building, Flickr and tagged afny, chicken walker, diorama, flickr, mgn series, mittenninja, mobile frame zero, terrain on January 16, 2013 by Malcolm. One of the great things about a simple, elegant rules system like Mobile Frame Zero is that it lends itself so well to other applications. I’ve seen people talking about using it for fantasy battles a la Lord of the Rings; spaceship combat; modern military combat. One thing I haven’t seen, however, it using it for naval warfare. This line of thinking has been inspired by a number of wonderful microscale Lego ships such as those scattered about this article. Most of these aren’t much bigger – or more brick intensive – than your average MFZ frame. Ships also lend themselves to the attachment based system of MFZ: close in defence systems (melee weapons), gun turrets (direct fire weapons), missile launchers (artillery weapons), radar systems (spotting), hydrofoils (movement), and so on. 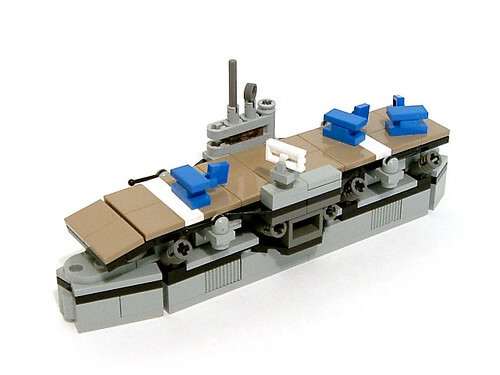 This entry was posted in Opinion, Playing and tagged mobile frame zero, mobile frame zero: high seas, mobile ship zero, naval warfare, pasukaru76, rules hacks, soren on January 14, 2013 by Malcolm. Why, you yellow son of a…. This post is brought to you by the colour yellow. It’s not one of the more common building colours in Mobile Frame Zero. Certainly not as the dominant colour in a build. Yet, there are a lot of MFZ appropriate bricks out there in yellow and it can be used to create fun, exciting, slightly cartoony builds. This model of a Battletech Marauder by Pascal perfectly captures the look of the original, while also have the distinct stamp of the builder. 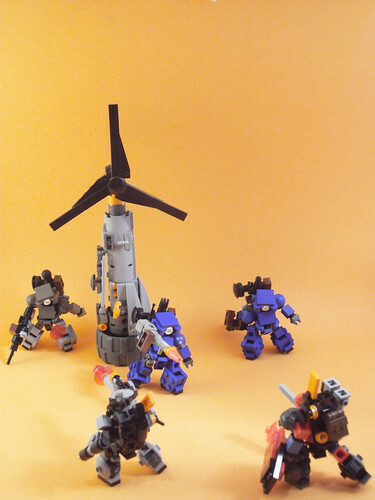 It also lends itself well to use in MFZ, with its combination of playability and poseability. As Pascal has noted in the comments, you can find his build instructions for the Marauder right here. 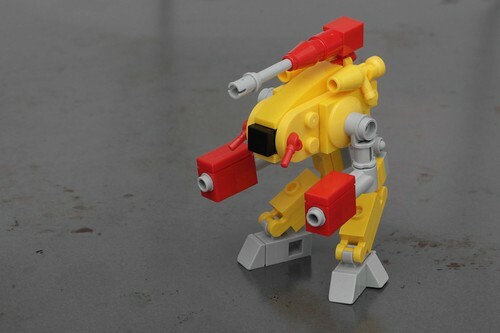 This entry was posted in Building, Flickr and tagged civilian frames, flickr, multipedal mecha, pasukaru76, red spacecat, the masked builder, yellow on January 11, 2013 by Malcolm. To celebrate the imminent release of the Mobile Frame Zero book, we’ve decided to hold a contest! Mechatonic, the MFZ Flickr group, and key people behind the game will be hosting a competition. Oooh. Support frames: ammo carriers, fuel tankers, medical units. They aren’t things we see very much of round these parts. But that’s all going to change. This contest asks you to design and build a support frame, covering any non-combat role you chose. It can have weapons, but combat MUST not be its primary function. The prize will be a customed designed MgN-333, coloured and equiped as per your individual specifications. * The finished build will be shipped to where ever you are in the world. Plus you also get a piece of custom art showing your frame AND a fully detailed set of PDF instructions. How about that? The entires will be judged by a shadowy cabal made up of MFZ designers Joshua A C Newman and Soren Roberts, plus long time Mechaton/Mobile Frame Zero enthusiasts Joe Murphy, and myself. *I have to place some restrictions on colour choices: for example, old dark grey is ruinously expensive. However, the winner willbe able to have a chat and negotiation the colour scheme and attachment specification that they want. This entry was posted in Building, Community, Flickr and tagged design contest, flickr, joshua newman, soren, vincent on January 2, 2013 by Malcolm. The good new today is that Mobile Frame Zero has now gone to press. So, well done to Joshua, Vincent, Sebastian, Soren, and all the artists, editors, and contributors who’ve made it happen. Sometime in the next couple of months us lucky Kickstarter backers should be getting our hands on the finished book. Hurrah! This entry was posted in Uncategorized and tagged joshua newman, mob, mobile frame zero, soren, vincent on January 2, 2013 by Malcolm.